The Sweetest Math and Literacy Center Packet!! Your students will love this sweet 75 page center/work station packet! It includes 10 fun, hands-on centers(5 math & 5 literacy) loaded with cookies, cupcakes, ice cream, candy, and more!! All of the activities come complete with a recording sheet. Please check out the center descriptions and downloadable preview for a sneak peek of all the goodies! 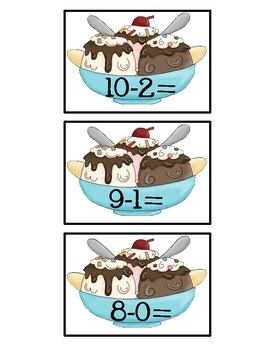 1.Subtraction Sundaes- Students solve the subtraction problems and sort them by sums of 2, 4, 6, and 8. 2.Share your Cookies- In this center, students practice how to share objects equally between 2-5 people. They use the cookie manipulatives to solve each task card problem. 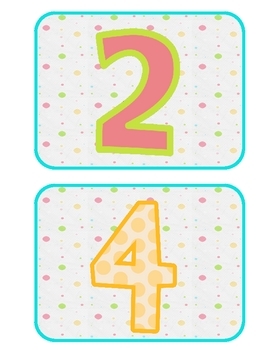 3.Popsicle Place Value- Students match up the popsicle place value cards (numbers, tens & ones, and base ten blocks). 4.Delicious Data- Students use the sweet treats to solve addition problems, make a tally chart, and create a bar graph. 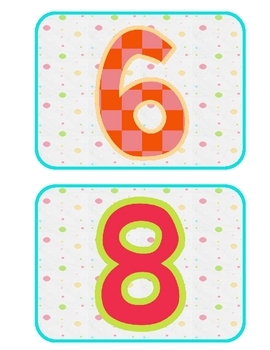 5.Sweet Number Riddles- Students match the number riddle cards to the correct number cards. 1.Read the Room Sweet Treats- Place the /ee/ and /ea/ word cards on your classroom walls. Students go around the room and read the words. They sort the words by their sounds on the recording sheet. 2.Making Words- Students make words with the letters in "We all Scream for Ice Cream". 3.Gumball Singular or Plural Noun Sort- Students sort the nouns by whether they are singular or plural. 4.Chocolatey Noun Sort(People, Places, & Things)- Students read each chocolatey noun and sort them by people, places and things. 5.The Sweetest Sentences-Students unscramble the words to make sweet complete sentences. Please let me know if you have any questions about my products. Thanks for checking out my store!